Social Media Marketing has given Facebook Live stream a marketing edge. Facebook marketing has become the most lucrative way to monetize any business because of the unique ability to target a specific audience. You can get more engagement using Facebook live stream because of the value that you share with your followers. A Facebook video has become the most used tool to build rapport and to build personal brands. Every unique online search has a specific cause & a desire to find answers to solve the most challenging pain that holds the searcher back. When you can answer questions your audience has you become an authority too them. So within the platform Facebook, there are some Facebook Live Stream tips that can help any marketer avoid costly mistakes and get more engagement. Marketing simply means that you are getting in front of a specific avatar with an answer to their questions. Facebook live Stream has become that go to method to do just that. * Facebook LIVE demo: literally watch 2 genius marketers go LIVE and swipe their ‘Go Viral’ LIVE secret by clicking on the image above. When you look at the screen you don’t have direct contact with your viewers via mobile phone or tablet. When you look at the camera with your phone horizontal it will give you direct eye contact with your viewers. You want to have good eye contact with your viewers while live streaming. Boost your Facebook Video for more engagement NOTE: You must have a personal business page additional to your profile to do this. For additional training to set up a sales funnel related to Facebook Live Streaming and other social media marketing you can check this post out. If you have a need to use Facebook to do more Facebook marketing like challenges then here is a post on Five Simple steps for lead generation using Facebook challenges. 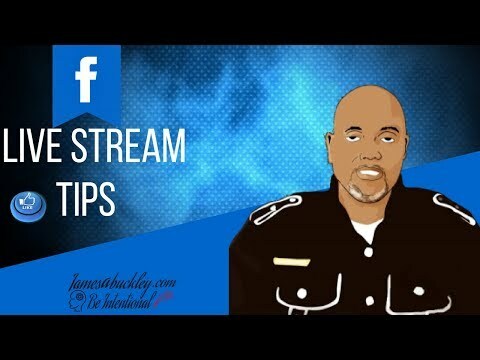 I hope you have found value from this post and would love to know your insight on these Facebook live tips. Please leave me your feedback and subscribe to future post by signing up for our newsletter via the image below.